The LRAD 360XT Mobile Mass Notification System delivers LRAD’s renowned, highly intelligible voice and alert tone broadcasts with uniform 360° coverage from a rapidly deployable, telescoping 30-foot pneumatic mast. LRAD, the world’s leading provider of acoustic hailing devices (AHD) and advanced mass notification systems (MNS), and a competitor in the 2017 ‘ASTORS’ Homeland Security Awards Program, has received a second LRAD 360XT systems order from one of the largest oil and gas companies in Eurasia. The LRAD ONE VOICE mobile mass notification systems in the $1.6 million order will have LRAD’s solar power option and be integrated with a gas detection alarm system. Equipped with LRAD 360X emitters, each system provides a 1,000-meter radius of communication coverage, and will be used for public address, emergency communication and early warning. The order is scheduled to ship during calendar 2017. “The advanced technology and superior intelligibility of the LRAD 360XT systems announced last October led to a second order from this customer,” remarked Richard S. Danforth, Chief Executive Officer of LRAD Corporation. The LRAD mobile MNS is integrated and mounted on a fully self-contained, ruggedized trailer featuring securely mounted, lockable electronics and equipment enclosures containing the amplifier modules and battery pneumatic systems. The Mobile MNS comes standard with a LRAD 360X dual emitter configuration that provides up to an 850-meter radius of communication coverage. As an ‘ASTORS’ competitor, LRAD will be competing against the industries leading providers of innovative long range acoustic hailing systems. 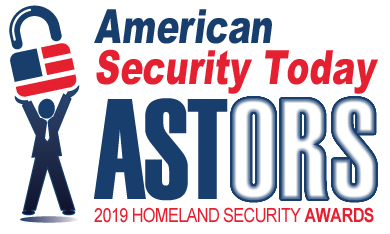 Good luck to LRAD on becoming a Winner of the 2017 American Security Today’s Homeland Security Awards Program! For more information, please visit LRAD 360XT or the companies website at LRAD Corporation.